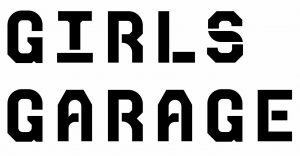 Annual Garage Sale + Open House at Girls Garage! Prices start at $1, and every dollar we bring in goes straight to materials and scholarships for our next year of programming. Did you know that 58% of all of our girls attend Girls Garage at no or low-cost? And that our summer teen program is ALWAYS no-cost to families and girls? Come on down to grab some great stuff, and know that your dollars are supporting the next generation of Fearless Builder Girls!